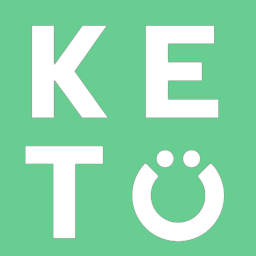 Ketosis is a state that occurs in our body when we restrict our carbohydrate consumption to a degree that requires our body to burn more fat and produce an alternative fuel source in ketones. When carbohydrates are consumed, they become the body’s primary fuel source. When ingested, they are broken down to glucose, a simple sugar, which gives us the term blood sugar. When our blood sugar rises, our pancreas secretes insulin which interacts with the cells of our body to open the door to allow glucose into the cell to be used for energy or stored. When carbohydrate consumption is limited, blood sugar and insulin levels drop causing the body to search for a new energy source. This leads to fat being burned to meet the energy demands of the body. If carb consumption is limited to a great enough degree, through either fasting or Keto Dieting, fat can be converted to ketones in the liver. These ketones can then be shuttled out of the liver and into the blood stream where they can be used for energy by the body. This elevation in blood ketones is known as Ketosis.